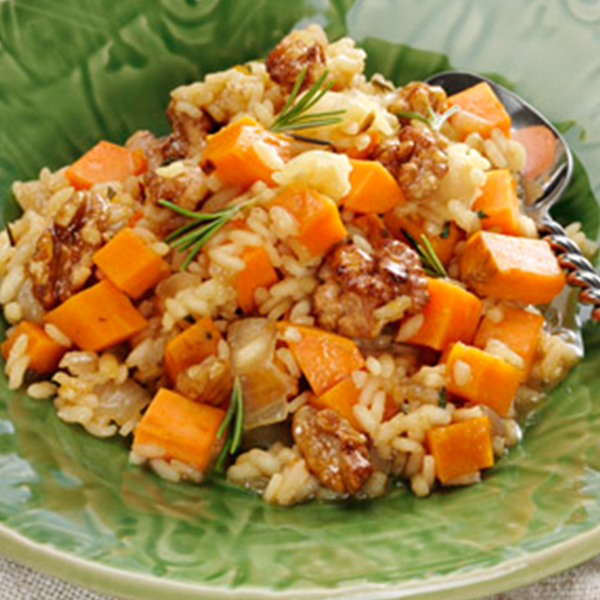 Last fall, our original "Sweet Potato Risotto with Spicy Maple Glazed Walnuts" recipe was one of the Top 10 finalists in the Fisher Nuts "My Fresh Twist" Recipe Contest. We won a monetary prize, a signed copy of Alex Guarnaschelli's cookbook Old School Comfort Food and, naturally, bragging rights. The final part of our prize just came this week, and that is Fisher Nuts having our recipe professionally cooked, styled, photographed, and featured on their website. How cool is that?!?!? Here's the link to the feature on their website, and the beautiful photograph you can see there, or above. We think it looks amazing. Thank you to Fisher Nuts and Chef Guarnaschelli!! !